I haven't read either but both sound great. 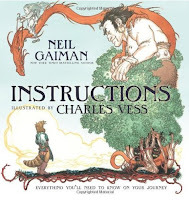 And Neil Gaiman...doesn't usually get any better. Your blog is so beautiful. LOVE it. And thanks for the post on the Princess book... will check it out. Oh hey. 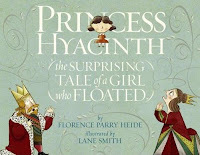 I checked out the Princess Hyacinth book for bedtime reading and it was really cute and my little boy liked how she floated in the sky. Thanks for the rec! Andrea: I'm so glad he liked it!